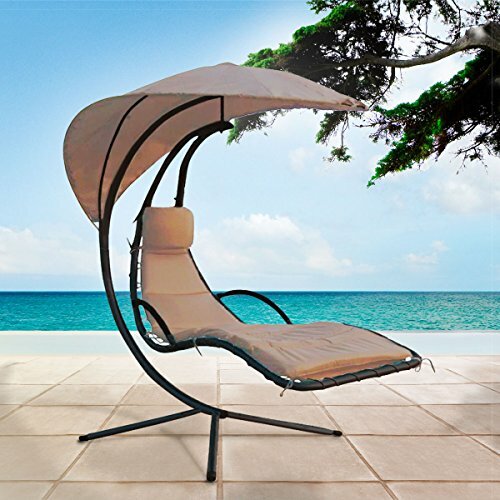 The incredibly popular and very well rated Horizon deluxe 2018 edition helicopter swing chair is an excellent choice. 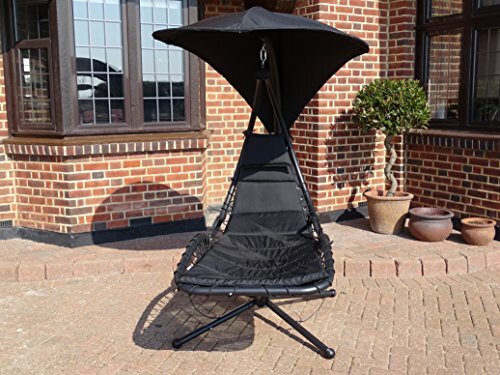 Available to buy in either beige or black this top of the range Horizon helicopter chair is a very affordable choice compared to others on the market, that many are guaranteed to love. 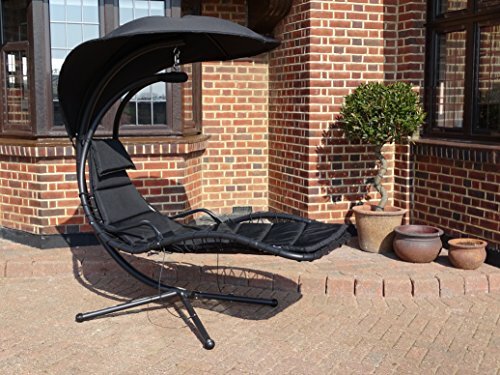 A helicopter swing chair is an ideal way to relax in the garden or on the patio over the summer. Allowing you to gently sway comfortably in the breeze. 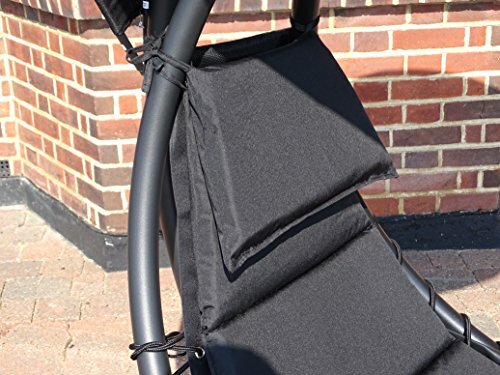 The cushion of this Horizon helicopter chair is made from polyester and has been filled with 4 cm of fibre filling allowing for excellent comfort. Allowing you to remain at bliss throughout long periods of rest and relaxation. The strong black steel frame of the helicopter chair suspends the fabric seat freely, providing a floating on air feeling that is sure to delight. As with all helicopter chairs this Horizon chair is fairly bulky design. It has a net weight of around 39 kg and measures 96 W x 96 D x 210 H (cm). The Horizon helicopter chair is fairly easy to assemble and comes complete with an instruction manual to provide a helping hand. 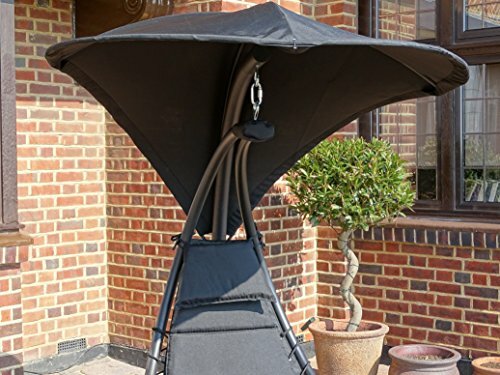 The black garden swing helicopter chair features a stylish teardrop shaped sun canopy to give a little shade should you require it when the sun is at its brightest. 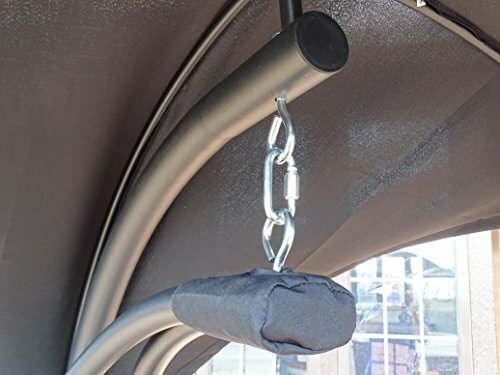 The manufacturer states that this helicopter chair is waterproof and resistant to rust. It is also easy to clean. 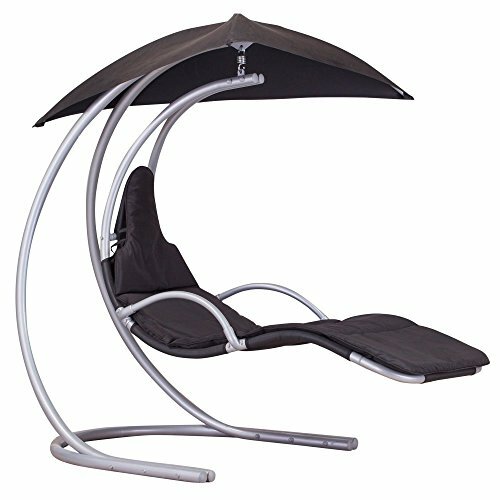 If you are looking for complete peace of mind when deciding to buy a helicopter chair, the Horizon model is an especially good option. 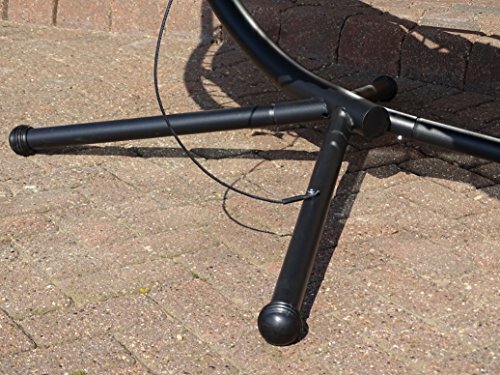 Since many of the helicopter chairs available in the UK do not have many consumer reviews behind them, this model stands out due to its high number of positive reviews from buyers. We recommend you take a look in the next tab at some of the buyer reviews before committing to a purchase. You can also view all of the buyer reviews on visiting the retailer!